Mr. Jackson was the Director General of the Office of Disaster Preparedness and Emergency Management (ODPEM) in Jamaica, a position he held since August 2006 until March 2013. He previously served ODPEM as Deputy Director General, Senior Director of the Preparedness and Operations Division and as Regional Coordinator for the Southern parishes. He has been extensively involved in disaster management at the national, regional and international level in various capacities. At the national level, he lent his expertise to the coordination of the national response to the impact of Hurricanes Charlie, Ivan (2004); Dennis and Emily (2005); Tropical Depression 16 and subsequently Tropical Storm Nicole (2010) and most recently Hurricane Sandy (2012). He has been instrumental in the development of the Guidelines for Child-Friendly Disaster Management and Response, Reinstatement of the ODPEM Dedicated Communication Network and Revision of the Emergency Welfare Plan. In 2010 Mr. Jackson received a Certificate of Commendation from the Caribbean Community for his contribution to the rescue and recovery efforts in the aftermath of the January 2010 Haiti Earthquake. 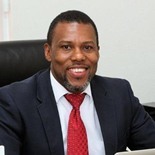 Prior to his appointment as Executive Director, he was a member of CDEMA’s Technical Advisory Committee, President of the IDB Caribbean Policy Dialogue Forum, the co-chair for the Inter American Network for Disaster Management and represented the Caribbean Disaster Emergency Management Agency (CDEMA) Member States on the Hyogo Framework for Action Mid-Term Review Committee and Post-2015 Hyogo Framework for Action Committee. Anne Aichroth took up her position as Deputy Head of Mission at the British Embassy in San Jose on 21 September 2017. Prior to this, her career has focused on the Arab world, including Head of the Political and Economics Team at the British Embassy in Rabat, Morocco. She also worked in political affairs in Oman and Qatar and supported the UK’s response to the Arab Spring while serving as policy officer on Egypt. Her first policy role with the FCO focused on the Great Lakes region of Africa. Prior to joining the FCO, Anne worked as a language lecturer and interpreter. Following experience in the tourism industry she lectured in tourism management. She is passionate about languages and speaks French, Spanish, German and continues to work on improving her Arabic. Joscha Kremers is Chief of the Aviation Transportation & Logistics Section at the United Nations Procurement Division in New York (UNHQ), overseeing the UN Secretariat’s acquisition of air, sea and land transportation requirements, including the procurement of Vehicles. After working in various administrative functions, particularly logistics in the private sector in Germany, he joined the United Nations in 2006. Mr. Kremers has worked in several areas of Procurement, including Engineering, Field Supply items, Logistics and Aviation, providing the worldwide peacekeeping operations, with essential infrastructure. His Section has been driving the reform in the area of long term air charter, attracting more air operators to UN business opportunities. A posting at the Regional Procurement Office in Uganda complement his UN experience. 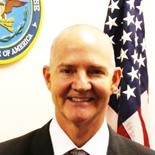 Mr. Paul J. Murray serves as Chief of USSOUTHCOM's Public Private Cooperation (PPC) Division. PPC engages with Non-Federal Entities (NFEs), including Non-Governmental Organizations, Businesses, Think Tanks, and Academia in order to extend the reach, effectiveness, and sustainable impact of SC Enterprise-wide activities. Born in Honesdale, Pennsylvania, Paul graduated from the American University, Washington DC, and received his commission in the Aviation Branch of the United States Army in 1985. During his 26 year career, Paul served as an Aviation Battalion Commander; Chief, Office of Defense Cooperation, U.S. Embassy Asuncion; and Senior Defense Official, U.S. Embassy Bogota. Following retirement from active duty in the rank of Colonel in 2011, Paul joined the private sector as an Aviation Program Director and Country Manager supporting Operation Enduring Freedom in Kabul, Afghanistan. For nearly three years, Paul oversaw 250 personnel in the employment of 17 super-heavy lift helicopters and fixed-wing aircraft supporting the International Security Assistance Force throughout Afghanistan. Paul concluded his time in the private sector as Director of Sales for the Latin American Division of a major U.S. helicopter manufacturer before rejoining the U.S. Southern Command in 2016. 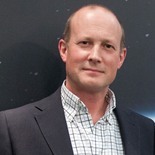 Tony White joined General Dynamics Missions Systems–Canada in 2016. With over 30 years of experience in communications, international relations, and business development, Tony has a unique background that includes a previous career as a senior officer in the Canadian Armed Forces (CAF), ten years of experience working in the International Staff of NATO, and more recently developing communication capabilities to support disaster management. In his current role, Tony is a capability director focused on public safety and disaster management solutions that includes EmergencySHIELD, a deployable communication and coordination capability for emergency response and disaster relief. Sandrina is responsible for coordinating GlobalGiving’s response to disasters and humanitarian crises. Her work involves strengthening a robust network of local responders, working closely with corporate partners, and advising all GlobalGiving’s stakeholders on disaster relief grantmaking. Prior to joining GlobalGiving, Sandrina worked with national and international NGOs in Sri Lanka, Mongolia, Maldives and the Lake Chad Basin. While in Uganda, she supported UN peacekeeping missions in east and central Africa, and she worked on protection of civilians and civil military coordination with the UN peacekeeping mission in the D.R.C. (MONUSCO). Sandrina holds a Master’s in International Affairs from the Fletcher School of Law of Diplomacy. 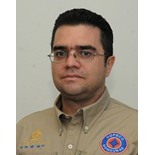 Juan Manuel Murguia is a Natural Resources Specialist at the Inter-American Development Bank in Costa Rica where he leads the Tropical Storm Nate Emergency Response Program. Previously he was located in Bolivia where he also worked on Natural Resources Risk Management, among other Natural Resources areas. Before joining the Bank in 2015, he worked as university assistant professor in Uruguay (UDELAR) and the United States (North Dakota State University). 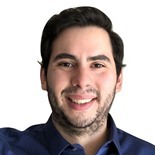 Juan holds a PhD in Economics from Iowa State University and a bachelor in Agronomy from UDELAR (Uruguay). Luke Schiel is the Senior Manager for Disaster Response at the Clinton Foundation’s CGI Action Network on Post-Disaster Recovery – a network of leaders from business, government and civil society committed to helping the Caribbean region build back better following the devastating 2017 hurricane season. In this role, Luke brings together various stakeholders to create Commitments to Action – new, specific and measurable projects designed to address hurricane recovery and resiliency initiatives. Prior, Luke worked on the business development team at the Clinton Global Initiative and interned in the Obama Administration’s White House. He holds a political science degree from Washington University in St. Louis. 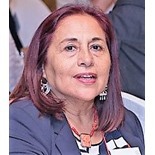 María Verónica Bastías is an expert in International Cooperation and Development, has a degree in Architecture, and studies in Anthropology at the Catholic University of Quito (Ecuador). 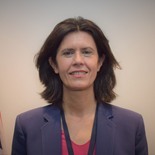 She holds a Diploma in International Cooperation from the Alberto Hurtado University (Chile); Development Studies at the University of Oslo (Norway); specialization in Housing and development at the University of Medellín (Colombia); and studies in Social Sciences research methodologies at the Latin American Faculty of Social Sciences (FLACSO) of Quito. Based on her knowledge and commitment to work with the most marginalised groups, Mrs Bastías was invited to participate in the High-Level Panel on DRR with a Local Pperspective in Sendai, Japan in March 2015; and in May 2016, invited as a panellist within the Closing Plenary of the Global Humanitarian Summit in Istanbul, Turkey. She has been a Parliamentary Consultant in Chile and Ecuador on Economic and Territorial Development Issues, Indigenous Peoples and Gender Equity. She was Representative of the NGO of International Cooperation, Norwegian People's Aid for South America, between 1994 and 2004, with Headquarters in Chile and then in Quito, Ecuador. 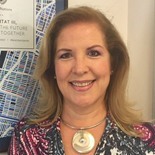 Monica Ramirez is the Director of Housing and Human Settlements at Habitat for Humanity International. As such, she guides and supervises the design and implementation of innovative projects in housing and construction, throughout Latin America and the Caribbean. Since 1993, she has been actively involved in the design and development of housing and community infrastructure social programs with a participatory approach to development and inclusion. She has previously worked for the World Bank, the IDB, GIZ, and the United Nations in several LAC countries and in Africa. She has worked as a consultant and adviser for ministries, local authorities and development agencies; she has also participated in the design, implementation and evaluation of institutional strengthening projects and local development. Ms. Ramirez is an Economist, with a Master's degree in Urban Economics and a Master's degree in urban and regional planning from the University of California at Berkeley. 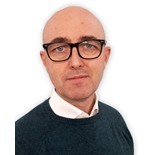 Phelim Cavlan is the Group Head of Sales for Strategic Supplies, a company involved in the delivery of life-saving equipment to governments and cross-national bodies operating in Africa and Asia. He has held senior positions in the Government of Malta where issues of migration have been very significant. He has experienced first-hand the impact of sudden migration events involving casualties and fatalities. Phelim is an Occupational Psychologist by profession and he has previously also worked in local government in the field of IT. 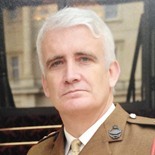 Lieutenant Colonel Anton Gash is the British Defence Attache for the Caribbean, based in Kingston, Jamaica. He is responsible for 14 countries across the Caribbean (Antigua & Barbuda, Bahamas, Barbados, Belize, Dominica, Dominican Republic, Grenada, Guyana, Haiti, Jamaica, St Kitts & Nevis, St Lucia, St Vincent & Grenadines, Trinidad & Tobago) plus the 5 UK Caribbean Overseas Territories (Anguilla, British Virgin Islands, Cayman Islands, Montserrat and Turks & Caicos Islands). He is a tank commander by background and also an specialist in Chemical, Biological, Radiological and Nuclear Defence. He has previously served as Defence Attache/Advisor in South Asia (Sri Lanka and Maldives) and West Africa (Ghana, Cote D’Ivoire, Togo and Mali), and has also worked with the European Union in Brussels. His operational deployments include Iraq and Afghanistan with the British Army and Cyprus (UNFICYP) and Mali (MINUSMA) with the United Nations. He has been in post since March 2017, and in 2018 was responsible for coordinating the initial deployment of British Forces to the Caribbean in response to Hurricanes Irma and Maria. 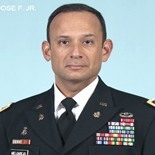 Colonel J. Frank Melgarejo Jr., United States Army is currently the Chief of the Theater Civil Affairs Planning Detachment at the United States Southern Command Headquarters in Doral, Florida. His duties include, but are not limited to advising the Command on the employment and use of Civil Affairs forces in Latin America and the Caribbean, Defense Institution Building, Women Peace & Security, enabling Rapid Response, and Partner Nation officer integration into the Command. Previously, he was a resident student at the United States Army War College in Carlisle, Pennsylvania from July 2015 through June 2016 June 2016. His last operational assignment was as the Director of Operations (J3) for Joint Task Force- Bravo in Comayagua, Republic of Honduras and Chief of the Office of Security Cooperation in Tegucigalpa, Honduras. He holds a Bachelor of Arts Degree in Politics and Public Affairs & a Master of Arts Degree in International Affairs from the University of Miami, Coral Gables, Florida; and Master of Science Degree from the United States Army War College in Strategic Studies. 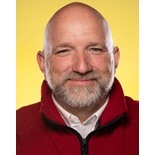 Drew has been working with American Red Cross International Services for over 17 years and has significant domestic and international experience. Before joining the American Red Cross, he worked with refugees and displaced populations in Africa and the Balkans. Having worked as a volunteer for American Red Cross (ARC) nationally, his first deployment with the ARC was to Guatemala to respond to Hurricane Mitch. He continued with the American Red Cross in Latin America and Asia for another 17 years. 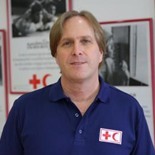 His work in Southeast Asia since 2005 included serving as the Senior Field Representative for American Red Cross based in Thailand and covering Myanmar/Burma, Bangladesh for the 2004 Southeast Asia Tsunami recovery operations, as well as Operations Coordinator with the Disaster Management Unit in the Asia Pacific Zone office of IFRC in Kuala Lumpur, Malaysia. His next secondment to IFRC was as the Innovation Coordinator working on the Community Engagement and Accountability to Beneficiaries (CEA), as well as Beneficiary Communications (BC) throughout the Asia Pacific region. 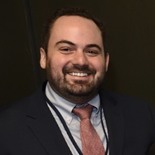 Early in 2016 Drew started as the Senior Program Manager/Deputy Chief of Party for the Regional Disaster Preparedness Program (RDAP) in LAC with USAID/OFDA through 2017. He has also worked originally as a volunteer domestically and later as an International consultant with Habitat for Humanity International (HFHI) in LAC, most recently assisting their hurricane response in the eastern Caribbean. He currently works out of the Panama Regional Delegation for American Red Cross as a Surge Delegate. Gregg spent the first half of his 30-year NGO career serving in multi-disciplinary emergency response, health and economic development roles while living in Somalia, Cambodia, Uganda and Rwanda. He then took on USA-based technical and senior management role supporting programs in over 50 countries. Transitioning to the private sector four years ago, Gregg helped Sawyer Products develop an international humanitarian response division and currently serves as Sawyer’s Director of Humanitarian Response Partnerships. 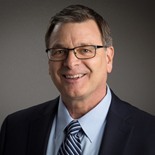 Gregg holds a Masters Degree in International Agricultural Economics from the University of Wisconsin, an MBA with a focus on International Economic Development from Eastern University, and a Doctorate in Transformational Leadership (DTL) from Bakke Graduate University. 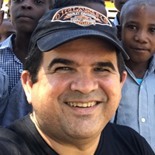 Joao Diniz is currently the Regional Leader of World Vision for Latin America and the Caribbean Region. Before that, he was the National Director of World Vision Brazil. Prior to that position, he was Director of Strategy Ministry and Finance Affairs at Global Field Operations in World Vision International. Previously he worked for World Vision’s Regional Office for Latin America and the Caribbean - LACRO as the Director of Transformational Development and Programming Quality and Regional Director of Strategy. Also he co-led the Our Future Integrated Pilot, a global initiative that took place in Central America Countries and Mexico. Before that, Joao Diniz worked 17 years for World Vision Brazil in senior positions, i.e. Economic Development Director and Director of Marketing and Fund Raising. Joao Diniz is graduated in Agronomy, with post-graduation in Tropical Agriculture. He also has a specialization in Finance Management, a Master in Business Administration and an MBA of Marketing & Sales. Cy Winter is the IOM Immigration and Border Management Specialist for the Americas, based at the Regional Office in San José, Costa Rica. He brings more than 20 years of experience in dealing primarily with irregular and emergency migration issues. From 2009 to 2015 he was Chief of Mission in the Dominican Republic, where he led IOM’s support for the regularization of more than 200.000 Haitian migrants. 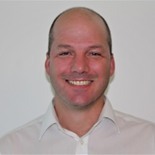 He has also worked on migration matters in Thailand, the Cayman Islands, the Turks and Caicos Islands and Nauru, and has extensive expertise in crisis response, situation analysis, policy system development and implementation for emergency migration and camp management operations. He has thorough knowledge of biometric identification-supported processing systems, mechanisms of international law enforcement cooperation and enhancing national border management measures. He was also National Coordinator of a special mission in Lebanon aimed at the admission in Canada of 25.000 Sirian refugees. Born in the Caribbean and raised in Spain, Cy is a U.S. citizen, speaks Spanish at the native level and has a strong working knowledge of Thai, Korean and Hmong. 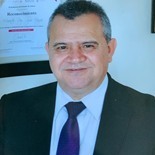 Dr. Maurenth Alfaro Alvarado currently serves as the National Consultant in the subject of Risk Management and Emergency Care of the Office of Costa Rica of the Pan American Health Organization (PAHO / WHO). 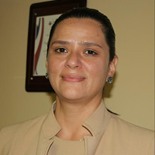 Previously, she worked for the National Emergency Commission of Costa Rica and the Costa Rican Social Security System (Caja Costarricense de Seguro Social), in the Institutional Program for Emergencies and Disasters, developing experience in the preparation and response at the hospital level and the health services network. She is also a professor of the Risk Management Master of the University of Costa Rica. 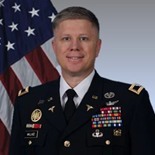 COL Wallace is a native of Pleasanton, Texas, he attended the University of Texas Health Science Center at Houston, Texas and received a Doctor of Medicine degree in 1994. His military education includes graduation from the AMEDD Basic/Advanced Officer Course, the Army Command and General Staff College, Joint Medical Planners Course, Tropical Medicine Course, and Global Medicine Course. He is a Fellow of the American Academy of Family Physicians, and is Board Certified in Family Medicine. COL Wallace has served several operational assignments with the U.S. Army from 1995 to date. In support of Operation ENDURING FREEDOM in Afghanistan as the Combined Joint Special Operations Task Force Surgeon and recently as the Command Surgeon forward deployed in support of CJTF-OIR. COL Wallace took command of the Joint Task Force Bravo Medical Element on 26 July 2018. His decorations include the Bronze Star, Defense Meritorious Service, Meritorious Service Medals, Army Commendation Medals, Combat Medical Badge, Expert Field Medical Badge, and Master Jump Badge. Diego is an Electrical Engineer who works with government entities and private companies to improve and update their critical communications systems. With 4 years working in Latin America, Diego has detected the key elements needed to guarantee clear and fluent communications during an emergency, being ease of use and training the most important ones. Diego works with Barrett Communications and its network of local partners to bring robust easy to operate solutions. 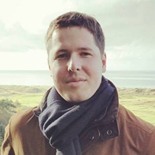 Gisli Olafsson currently serves as a Humanitarian Advisor to NetHope and has over the past decade served as a trusted advisor to national governments and international organizations on the effective use of technology in their humanitarian operations. Gisli served as the Emergency Response Director of NetHope from 2010-2015. 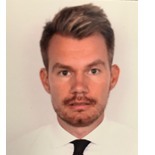 Gisli has over 20 years of experience in the field of disaster management and is an active member of the United Nations Disaster Assessment and Coordination (UNDAC) team. He was also the Team Leader of the Icelandic Urban Search and Rescue team, which was the first international team to arrive in Haiti after the devastating earthquake in January 2010. Gisli is consider one of the leading experts in the world on the use of technology in disaster response and is a sought after speaker, trainer, and advisor. Gisli is the author of a book on leadership in times of crisis called “The Crisis Leader”. experience in Integrated Disaster Risk Management, Eng. 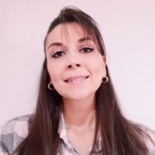 Funes Siercke’s main areas of knowledge include critical reasoning, solving complex problems, taker of decisions, excellent communication, strategic planning, information systems geographical and remote sensors. Eng. 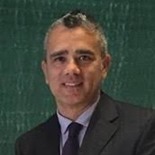 Funes Siercke joined COPECO in August 1999, starting as Director of Information Technology before becoming Director of Prevention Management in 2010. He studied for 5 years at the Universidad Tecnológica Centroamericana UNITEC in Honduras to become an Industrial and Systems Engineer. Eng. Funes Siercke speaks both Spanish and advanced English, with a desire to use his wealth of skills to aid the development of country, Honduras. Eduardo Luis Aguilar Flores is 30 years old, holds a degree in Risk Management with a 10 year working career in addition to three years of volunteering. Throughout his career, Mr. Aguilar Flores has developed activities in the Executive Secretariat of the National Coordinator for the Reduction of Disasters, of natural or provoked origin. During this working time he has learned the application of risk management in its different stages; specializing in the response phase, information management and preparation of statistical, executive and special reports. Julián Alberto García Román was born in Santo Domingo, Dominican Republic on April 17, 1972. 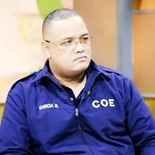 He joined the Civil Defense of the Dominican Republic at just 17 years of age, occupying several important positions from Director of the Municipality Santo Domingo West, to being the National Head of Operations. In 2006, by Presidential decree, he was promoted to Deputy Director and in charge of the Communications Division of the Emergency Operations Center (COE) of the Dominican Republic, which he currently holds today. Mr. Garcia Roman has a Diploma in Risk Management, in Mega Security events, and is an instructor in training for CPI and IDI instructors, and in evaluation of damages, hazardous materials, telecommunications in emergencies, and Safe airports. Mr. García Roman has also participated in several humanitarian allied force exercises with the Southern Command of the United States. MSc. 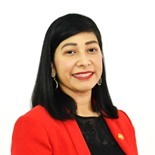 Mayra Valle Torres is a professional in the field of cooperation for development, specializing in Disaster Risk Management and Education Sciences, through post-graduate studies in entities such as Kobe University in Japan, the Henry Dunant Foundation, among others. Since 2013 she works for the Executive Secretariat of the Coordination Center for the Prevention of Disasters in Central America and the Dominican Republic (CEPREDENAC) and currently holds the position of Cooperation and Projects Manager, contributing with the implementation of the Central American Policy on Disaster Risk Management (PCGIR) and the Sendai Framework for Disaster Risk Reduction. Her experience includes 13 years working with government entities, international cooperation agencies and civil society organizations, in the implementation of development programs, fostering an inclusive and more humane approach during disaster response as well as promoting the increase of efficiency through resilient investments in the region. David Meltzer has 30 years of experience in the satellite and humanitarian industries. Mr. Meltzer currently leads the Global VSAT Forum which is the largest global trade association for the commercial satellite industry. 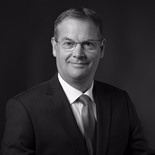 As GVF’s Secretary General, he leads advocacy efforts on behalf of the industry with national and international regulators while providing members with benefits in areas such as online and classroom training, organizing industry conferences, and leading industry working groups on topics that include international regulatory matters, sustainable space operations, and disaster relief. Prior to leading GVF as its Secretary General, Mr. Meltzer worked for sixteen years at the world’s largest communications satellite operator - Intelsat - and served as Intelsat’s General Counsel and Executive Vice President for Regulatory Affairs. 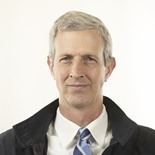 Following Intelsat, Mr. Meltzer served for thirteen years at the American Red Cross leading its international disaster relief and development activities and served as the American Red Cross’ General Counsel for over five years. Mr. Meltzer has extensive experience working with senior members of government and has made numerous appearances before media, the U.S. Congress, the United Nations, ITU, and other national and international organizations. 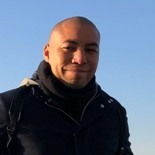 Angel Buitrago is an Information Technology Officer for Emergency Preparedness and Response with the World Food Programme (WFP), based in the Regional Bureau for Latin America and the Caribbean. Angel started working with WFP in November 2008 and since then has been deployed to several emergency response operations in the capacity of IT specialist and Coordinator. Some of these emergency operations include the Haiti Earthquake in 2010, Political Unrest in Mail in 2013, Liberia for the Ebola Response in 2014, Hurricane Mathew in Haiti in 2016 and Hurricane Irma and Maria response in the Caribbean in 2017. 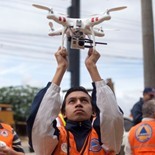 Has also contributed to build technical capacity and strengthen emergency preparedness in the region through the delivery of several trainings, workshops and events for WFP and other humanitarian actors, including: Use of Drones for Emergencies in Colombia, Bolivia, Dominican Republic and Peru. Angel has also represented WFP and the Emergency Telecommunications Cluster (ETC) in many Disaster Management and EPR events around the world. 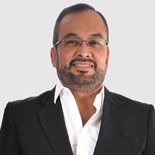 Allan Ruiz is a telecommunication professional with more than 25 years of experience worldwide in the development of ICT projects and telecommunications in the public, private sectors and International Organizations. He has also been a professor at the University of Cota Rica in Telecommunications. Currently serving as Executive Secretary of the Regional Telecommunications Technical Commission (COMTELCA) and also an expert tutor, global content and pedagogical coordinator at CEABAD. He was also Director of Radio Spectrum and Vice Minister of Telecommunications at the Ministry Science, Technology and Telecommunications of Costa Rica. Allan holds a B.S. from the University of Costa Rica in Electronics and Telecommunications and a master´s degree in Telecommunications from the Universidad Politecnica de Madrid. 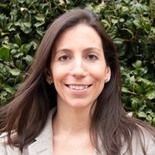 Ms. Angela Millán Grijalba serves Colombia’s National Unit for Disaster Risk Management (UNGRD) as Deputy Director for Projects. She is a Business Administrator, specialising in Project Management, with extensive knowledge and experience in strategic planning, formulation, management and monitoring of investment projects in the public sector, including projects for risk management, quality management in public and private entities, design and advice on organizational analysis in management and administration of risk, definition of measurement tools, establishment of management indicators under the Balanced Scorecard methodology, implementation and audit of Integrated Management Systems. She also has in-depth experience of internal control in the development of internal audits, experience in the strategic definition and implementation of the monitoring and control scheme for PETI Strategic Information Technology Plans, framed under the adoption of the Reference Framework of Enterprise Architecture of the MinTIC, in articulation with Digital Government, Knowledge Management and Integrated Model of Planning and Management MIPG. 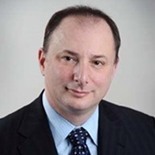 Mr. Kolbin manages the Volga-Dnepr Group's office in New York and is responsible for developing the Group's relations with the North/South Americas-based international organizations and NGOs procuring air transportation services. He previously worked with the Group's offices in London, UK and Moscow, Russia, being responsible for marketing and research activities related to humanitarian and disaster relief services provided by the Volga-Dnepr Group of Companies. Director,Emergency & Disaster Management Dept. Mr. David Alonso Meléndez serves as the Director of Emergency and Disaster Response within Costa Rica’s Ministry of Public Works and Transportation (MOPT), he is also the Representative of the Ministry within the Emergency Operations Center, and Ministry Representative in different CATS of the CNE (Comisión Nacional de Emergencias). Mr. Meléndez specializes in Emergencies, especially Rescue in Confined Spaces, Administration for Disasters, Damage and Needs Assessment, Road and Fluvial Infrastructure, Emergency Management, Incident Command, Emergency Plans, Evacuation, Crisis Management in Explosive Situations, Management of Demolitions and Explosives as well as Organization, Preparation, Training and Direction of Emergency Brigades. He has been an instructor for the organisms of the National Commission of National Security, Government of Costa Rica; National Emergency Commission, Costa Rica; the United Nations; Government of the United States for OFDA; and CEPREDENAC. Geologist at Lanamme-UCR since 2013, he is an expert in LiDAR technology and use of unmanned aerial vehicles (UAV/ Drones) to study volcanic territories, its geomorphology, changes through time, superficial geochemical processes and landslides susceptibility that may have a direct impact on the population and road infrastructure. 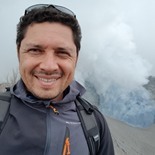 Dr. Ruiz is also the instructor for the volcanology and geomorphology courses at the Central American School of Geology - University of Costa Rica. Besides teaching, he develops and directs graduation projects related to these fields with his students. He is currently a researcher in the G.R.E.A.T. Project, which is a collaboration between the University of Costa Rica and Rutgers University to study the Talamanca Mountain Range. Dr. Ruiz graduated from Rutgers University 2012. 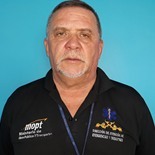 Lieutenant Colonel Patrick Blankenship serves as the Team Leader for the SOUTHCOM Situational Assessment Team (S-SAT) for JTF-B located at Soto Cano Air Base, Honduras. The S-SAT provides a rapidly deployable HA/DR assessment capability for the US SOUTHCOM CDR and conducting tasks as requested by the lead US Federal Agency for HA/DR, USAID, OFDA. 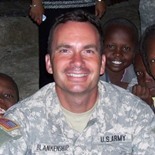 LTC Blankenship holds a Master's Degree in International Relations, is a graduate of the Joint and Combined Warfighting Course, Joint Forces Staff College and has received training in Civ-Mil Coordination from multiple iterations of the USAID OFDA Joint Humanitarian Operations Course (JHOC) and from UN OCHA Civ-Mil Coordinators. Notable deployment experience in support of USG HA/DR response includes Operation Unified Response in response to the earthquake and its aftermath in Haiti, January through April 2010.